Escape on an Erieau fishing trip. 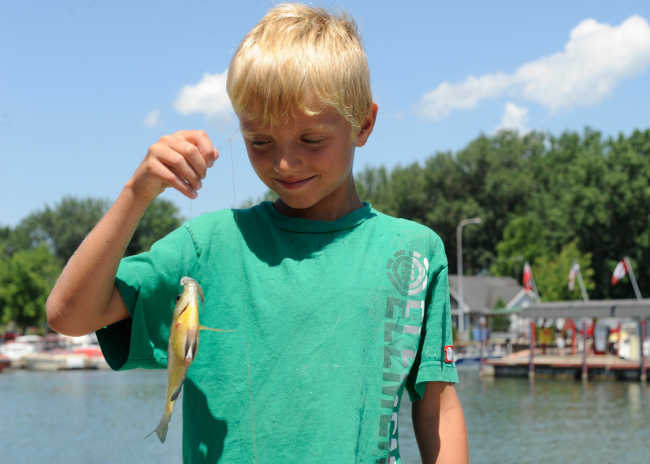 Whether you’re a novice angler or a seasoned pro, the quaint Lake Erie cottage town of Erieau is a fantastic option for a truly authentic fishing getaway. Be greeted at Molly & OJ&apos;s and get a cozy cabin close to the water then head over to relax and grab a bite to eat on the patio at Bayside Brewing overlooking Rondeau Bay. Don’t forget to ask them to pack a lunch for your excursion the next day. Head to the Galley Grille Pub for a hearty breakfast then amble over to Trophy Taker Fishing Charter where Jeremy Brooks will take you out for a lively day of fishing for Walleye and Steelhead in near-perfect bodies of water. Take whatever you caught with you for dinner, as Molly & OJ’s will serve it up for you in a variety of ways with their Hook N&apos; Cook special meal. No problem if you didn’t catch anything, as you’ll get to try the chicken gumbo. Relax afterward at Bayside Brewing and tell the usual fables about the one that got away over a few craft beers. Enjoy an early stroll along the beach then, for a change of pace, on your way home drive into Chatham and check out RM Classic Cars. You’ll be amazed. Click to discover more of our Fishing and Beach experiences to create your own weekend getaway.